This guide highlights events that are relevant to doctoral students. Some will help you academically, by giving you an opportunity to explore ideas and showcase your research. Others have been organised by fellow doctoral students to encourage you to recharge and have some fun. Many of the events are supported, and attended, by the Doctoral Welcome Team and are a great opportunity to hear about their doctoral experiences. Keep an eye out for our weekly newsletter, the Doctoral Digest which has information on all of the events that are available to you. Don't forget to take up other opportunities for learning and networking through our Doctoral Skills professional development programme. Find about more about events that are taking place at The SU (Students' Union). Keep an eye out for doctoral specific events from the Postgraduate Association (PGA) and stay with the Bath Activie programme. From careers advice to meeting industry professionals, see the range of events the careers service are running to support your future. 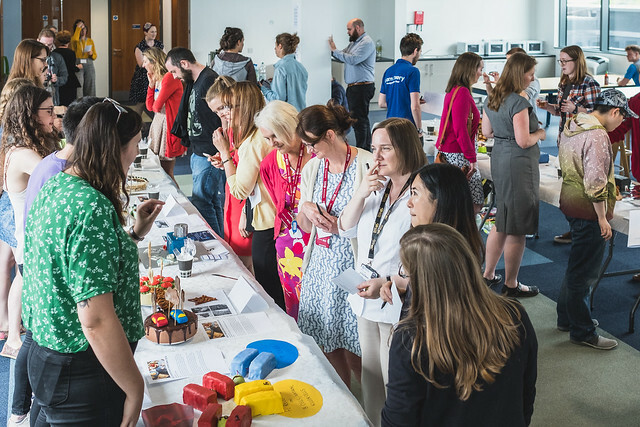 If you'd like to get more involved with your doctoral community, but haven't seen an activity that takes your interest, why not organise your own? The Doctoral College Activities Fund offers funding up to £500 to support the development of interdisciplinary activities that bring together doctoral students across disciplines and/or institutions. As well as delivering the activity itself, planning, running and managing an activity budget is a great opportunity to develop transferable skills as part of your professional development.